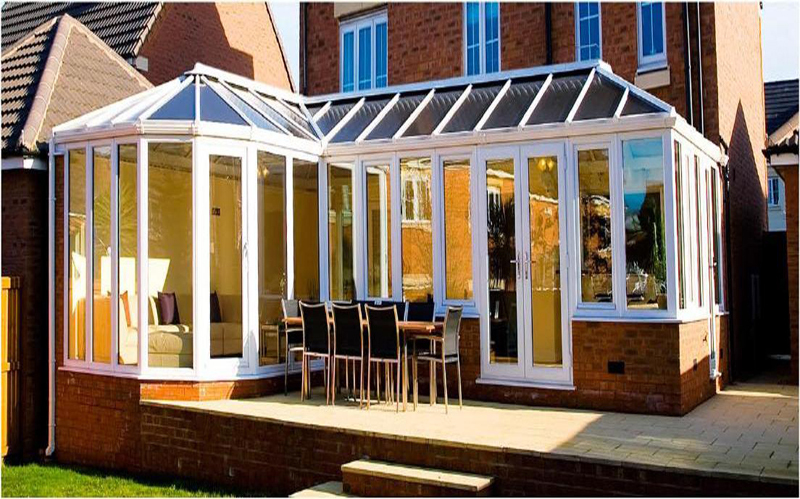 Man Chong Windows & Doors Co., Ltd.
Glass House can be custom fit to your house. 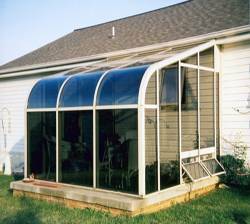 Glass House is rich of elegancy which is the best in the industry. 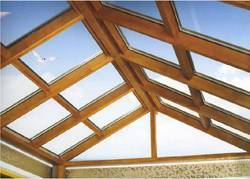 We provide serial material for the roof such as tempered glass, laminated glass, low-E glass, heat insulation PVC and other shades. 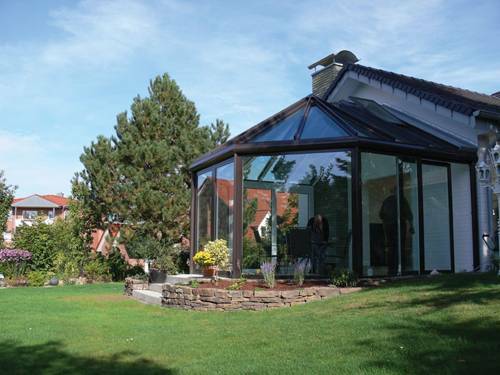 The frame of Glass House is composted by aluminium and steel. 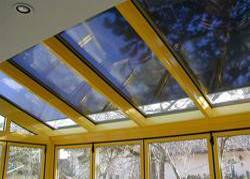 The roof can be retrofitted with electric opening skylight, introducing fresh air to the room. 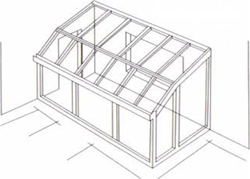 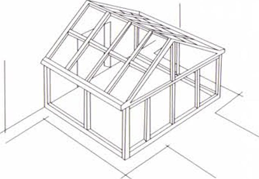 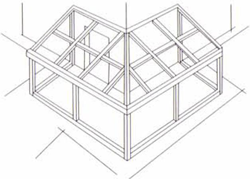 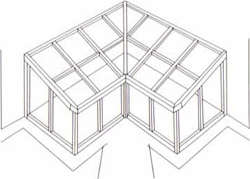 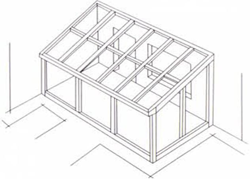 The shape of roof can be various such as full round, bevel, regular bevel and irregular bevel. 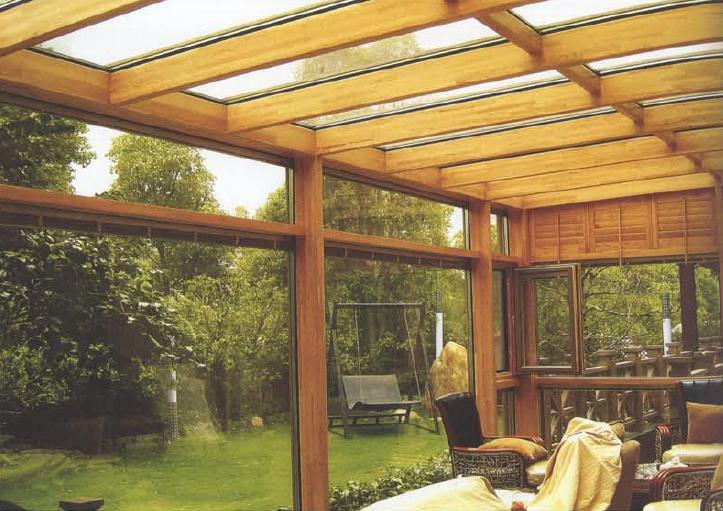 Hollow strengthen glass and built-in electric shade lace curtain can be applied in Man Chong glass house to protect you from the strong sunlight. 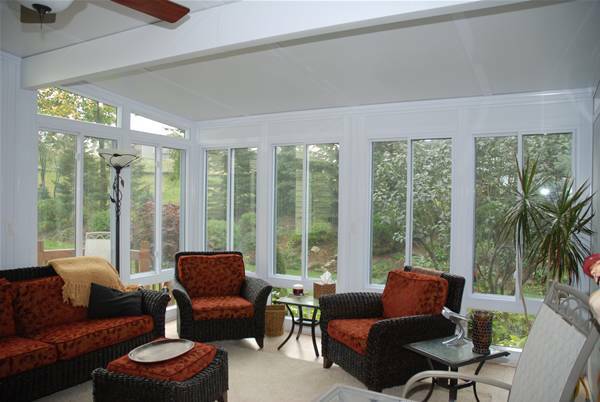 After closing the lace curtain, you may look at the stars on the evening. 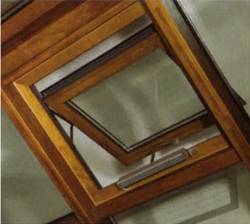 Wood cladding aluminium framework is also available for your home decoration. 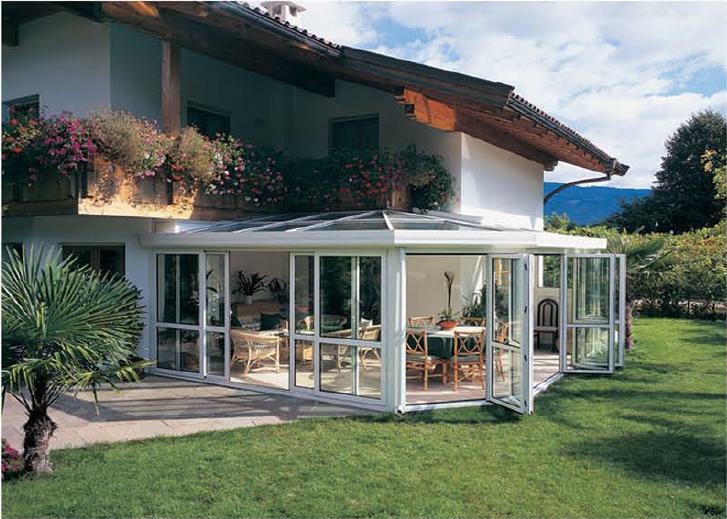 The solid outside aluminium framework can resist sunshine, rain and snow.